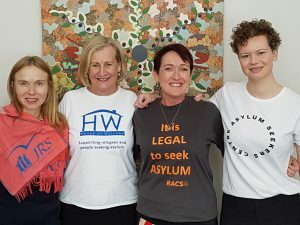 "The NSW Alliance For People Seeking Asylum is a group of four NSW based service providers working with people seeking asylum and refugees. The alliance has been working together over the last year to ensure services are coordinated to deliver the most effective response to people in need. The NSW Alliance for People Seeking Asylum - our combined 90 staff and 703 volunteers - are committed to ensuring that people have their basic needs met. But we need financial assistance to do this. Thank you for your support - any thing goes a long way."